It seems that earlier every year the Christmas decorations start to appear in stores, lights go up on houses and Christmas music plays on the radio and in stores. I am already seeing ads and notifications for Holiday events as early as this weekend. Even tonight when I was out walking I passed by a pharmacy and saw stuffed Santa figures at the end caps of the closest aisles. I have even seen a few Christmas trees up in stores and they have started to sell them. 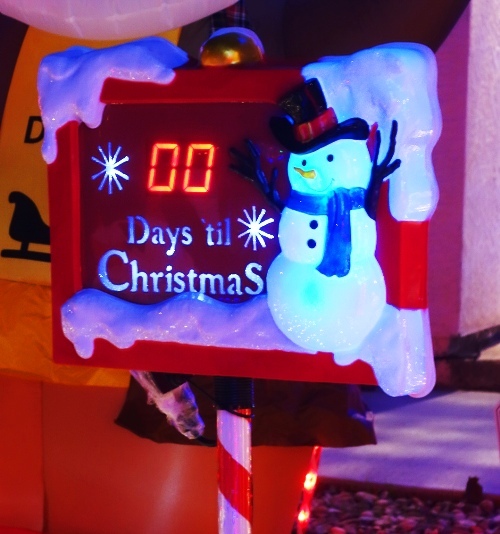 I haven’t seen anyone yet with a countdown clock in their yard like this, but it will only be a matter of time. As I write this post I am also thinking of an even earlier time this year when I saw Christmas decorations for sale. When we went on our California Cracker Barrel Road Trip in early September we found that Christmas ornaments and merchandise were already out for sale in the Country Store portion of the restaurant. 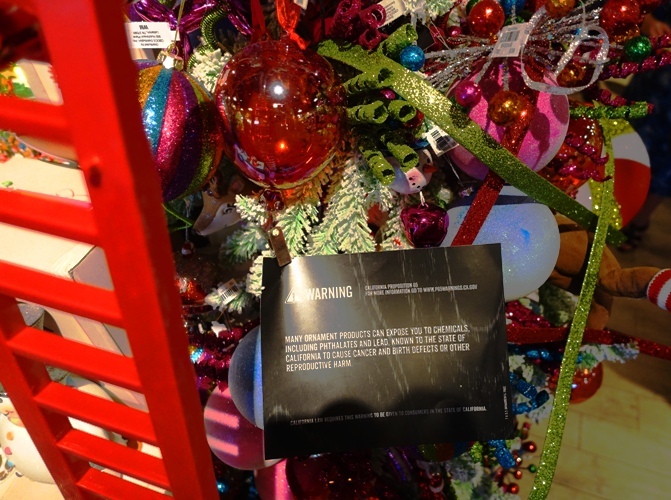 I had planned on taking an overall picture of the Christmas items for sale, but instead focused on the Warning sign. Many ornament products can expose you to chemicals including phthalates and Lead known to the State of California to cause cancer and birth defects or other reproductive harm. We have similar warning signs to these all over the place in California. OK, my mind wandered a bit, but the point is that the commercialization of Christmas is coming earlier and earlier every year. 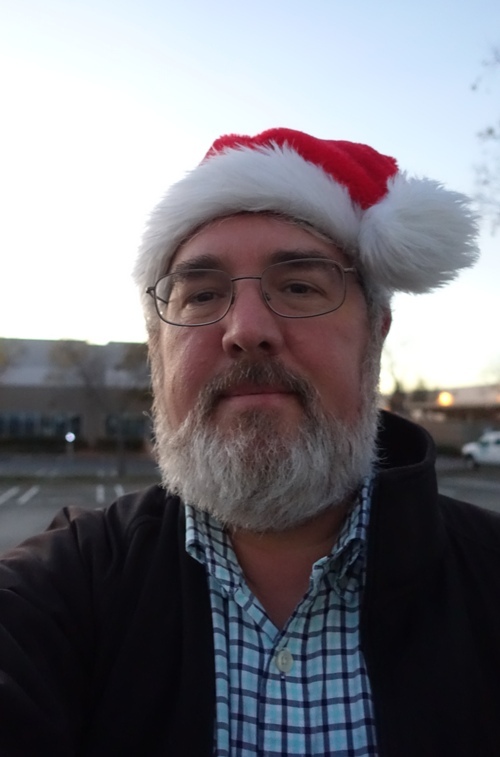 Is it too early to start wearing the Santa hat? 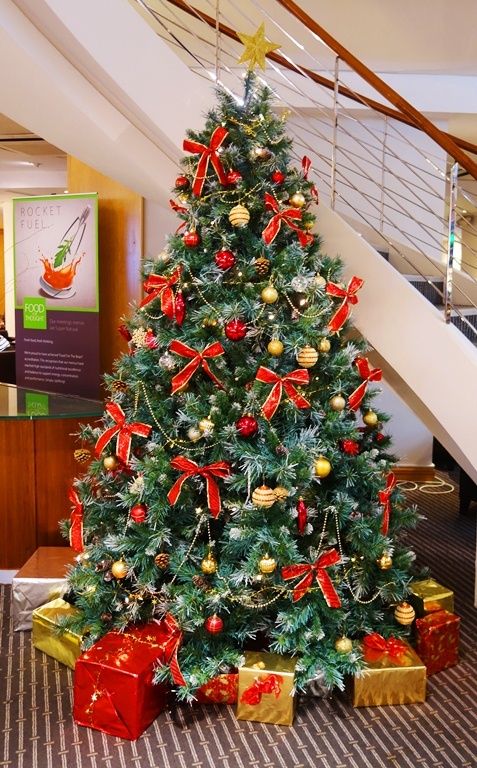 This entry was posted in California, Culture, Holidays, Seasons and tagged Christmas, Christmas Tree, Decorations, Holiday Decorations, Santa, Toy Soldier. Bookmark the permalink.